I think oatmeal cookies get a bad wrap. Especially the vegan variety. 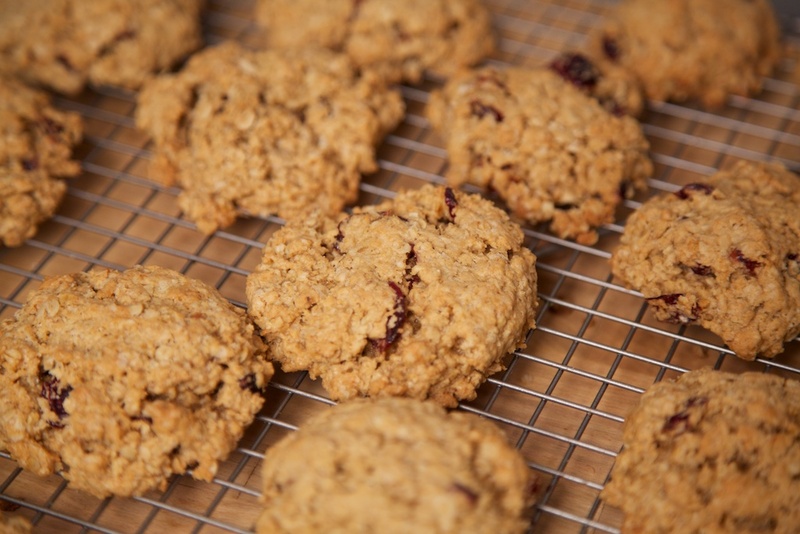 Granted there are some pretty bad oatmeal cookies out there, but it doesn’t have to be that way. In fact one of my favorite cookies of all time was the oatmeal chocolate chip cookies my aunt used to make. I have yet to perfect a vegan version of those though. They were unbelievably good. It just goes to show you, it’s not just the recipe, but the technique. I was particularly drawn to this recipe because it replaced those pesky raisins with cranberries, which is obviously WAY better, not to mention much more holiday appropriate. They’re soft in the center and just ever so slightly cakey. Not to mention insanely yummy. I think you should just make them and let the cookies speak for themselves. Whisk together the dry ingredients: flour, salt, cinnamon, baking powder, baking soda. Beat together the Earth Balance and sugars in an electric mixer, using the paddle attachment. Beat until fluffy. Lower the speed on your mixer and slowly add the liquid ingredients, continuing to beat until well combined. Gradually add the flour mixture and beat until a dough forms. 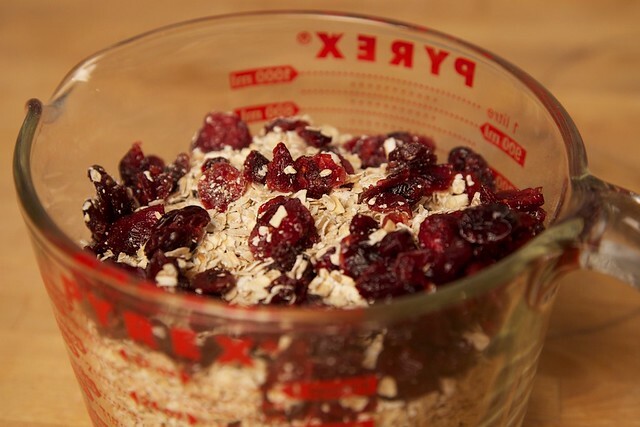 Take the bowl out of the mixer and then stir in the cranberries and oatmeal by hand. Cover the dough with plastic wrap and refrigerate for at least an hour. Preheat oven to 350° and prepare two baking sheets with parchment paper. Using your hands, shape 2 tablespoons of the dough into disks and place an inch apart on your baking sheets. Bake for 16 – 18 minutes, rotating half way through. They should be browned on the edges but still soft. Let cool on the baking sheet for 5 minutes and then let cool completely on a wire rack. 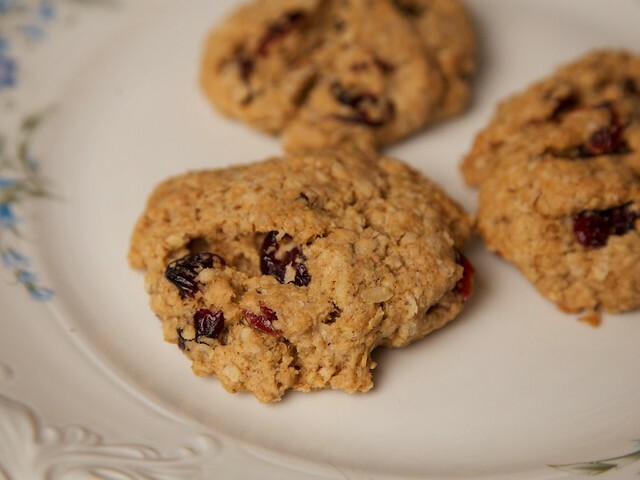 Oatmeal Cranberry are our favorites. I have a tried and true (un-vegan) recipe but I will give this one a try!